The process for timing the shot was very simple: just sit, wait, and have a good reaction to press the shutter button fast. I did not have my tripod and camera remote control with me. Good timing is everything indeed, but the result—taken with an Olympus E-510 camera at ISO 200—is beautiful, almost outworldly. 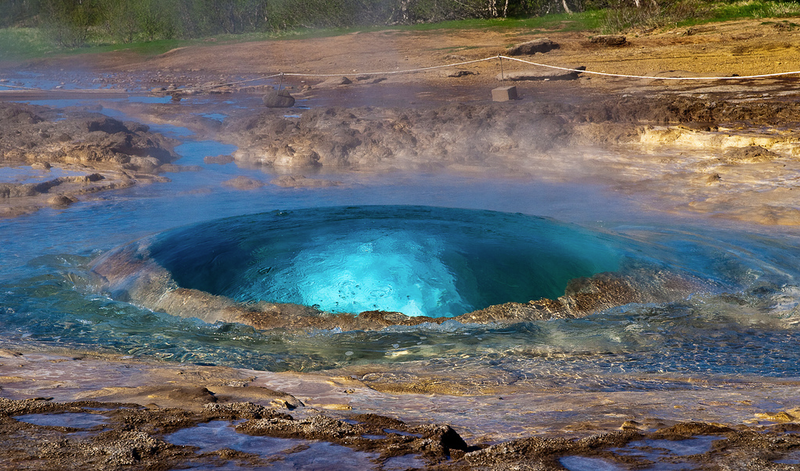 Located in the geothermal area beside the Hvítá River, east of Reykjavik, Strokkur fires every 4 to 8 minutes, reaching 65-foot heights, sometimes even going up to 131 feet (40 meters). It was blocked in 1896, when an earthquake blocked it. In 1963, the icelanders cleaned the conduit and Strokkur has been happily puffing ever since. Photo by Tatyana Kildisheva used under permission.